With Bioshock: The Collection recently announced, 2K Games may finally be gearing up for a current generation Bioshock sequel. After Infinite, it seems any mix of times and places is conceivable as a new world to explore, and here are just five we could soon see brought to life. Nineteenth century England is a well-worn setting in video games, even earning its own category in our GG Awards last year. One aspect not as thoroughly covered however is the “Egyptomania” of the era, a sudden spike in fascination and popularity of ancient Egyptian culture. This trend affected everything, from architecture to advertising, Egyptian symbols and references adorned it all. It’s thought that the English public at the time saw a bit of themselves in ancient Egypt, both cultures at the height of royalty and power in their respective times. And what better marriage of the two monolithic cultures than to place the traditional Victorian England setting in the middle of a vast desert, surrounded by harsh sandstorms, warding off outsiders. We’ve all heard of steampunk, but a Bioshock game with this setting would bring about a new genre of “sandpunk” – a society that makes use of the desert’s sands, storms, and immense heat to further their technological advances. With a mix of posh English civilization and the ancient customs of the Egyptians, we’d be seeing English kings and queens given their own tombs, royal families embalmed as mummies in death, and camel-drawn carriages. But for as romanticized as the Victorian era can be, it had more than its share of dark spots. Experimental surgeries and treatments were all the rage, especially on a growing “hysteric” female residents. The populace had a fascination with death and the macabre, with freak shows frequently on display. And with the infamous Jack the Ripper on the loose, these trends can only grow when left to fester in the arid desert under the eyes of the Egyptian pantheon. 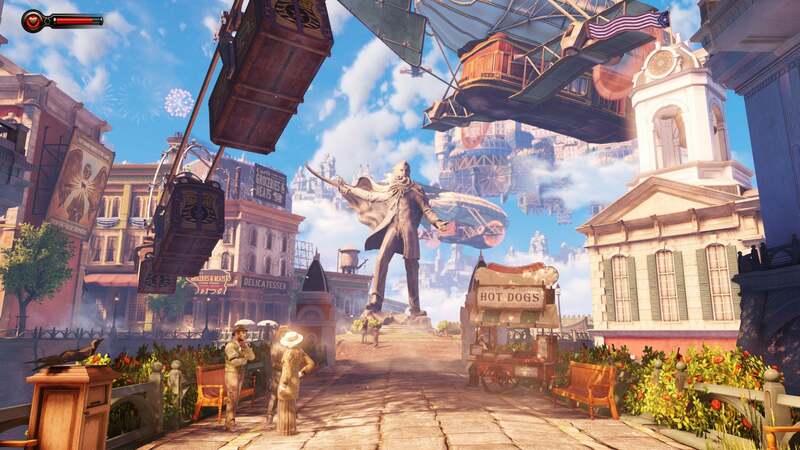 The setting of Bioshock Infinite, Columbia certainly was a sight to behold. With its floating islands and colossal angelic statues surrounded by clouds, it truly felt like a slice of paradise. But for all its beauty and majesty, Columbia was as nasty as it was divine, with its American exceptionalism and deifying of the founding fathers twisting the world into a dystopia. Under self-proclaimed prophet Zachary Comstock’s rule, the city quickly turned to embrace white supremacy and elitism, with the lower class and racial minorities working the harsh jobs behind the scenes to maintain Columbia’s pristine façade. While these themes of religious iconography and social and racial segregation were touched on, even resulting in a civil war tearing the city apart, the world of Bioshock Infinite seemed to take a back seat to its more complex plot of alternate dimensions and time travel. There were more than enough instances of dimension hopping through to different versions of the city to stray from its original themes and get a bit confusing. While these more science fiction elements were enjoyable, it’s still a shame the city was never as fleshed out as the previous city Rapture, which was seen throughout years of its rise and fall. A sequel that really highlights Columbia and its culture would be welcomed after Rapture was given both original Bioshock games as well as multiple downloadable content packs to further build on the city. A sequel set in Columbia could help progress some of its less developed aspects, such as the population’s usage of vigors, the cruel mechanical creations like the handymen, and what could become of the city after the dramatic events of Infinite. There’s still so much to discover and explore in Columbia to more than justify a return to the city in the sky. Unless the people held onto this mentality, with the wealthiest among the populace sealing themselves away, employing the world’s smartest to build their never-ending city. Even as the world falls apart, they can continue to party and enjoy their riches, hiding this time capsuled world away in an impenetrable bubble, where the pleasure never had to stop. This solitary affluent society could continue on for decades uninterrupted, remaining at the pinnacle of fortune while the outside nations burned themselves to the ground. This contained world would have its own renewable energy and food resources to sustain itself on, ensuring its people could spend their time at their own leisure, drinking and feasting for generations. The good times could just keep on rolling… Until they stop. When the equipment breaks down with no one to repair it and the lights turn off, or the people start to go hungry, the resulting crash would be cataclysmic. And when the walls of this world begin to crumble, what will they find on the outside? An idea already brought to life in the Fallout series is a 1950’s-like society retreating underground in the event of nuclear attacks. But what if this society stayed underground, never departing for the surface, remaining a world left uninfluenced by the outside world? The classic 50’s tropes would all be remodelled to fit this subterranean environment, with muscle cars racing along tunnels, diners backed by the glow of magma flows, and rock and roll music echoing through the caverns. Of course there would have to be a large emphasis on lighting and its importance in a city without a sun. How is the energy properly dispersed when so much power needs to go to keeping the lights on, while families continue to drain at it with their fixation on television and radio? It’s the Great Space Race of the late 1960’s, America has just landed on the Moon, and Soviet Union needed to retaliate. So they embarked on the greatest challenge in human history, and built a city in space. Not only is it a boasting factor of the Soviet Union’s power, but also a safe haven in the event of a nuclear war. Bioshock is known for bringing fully realized worlds to life and this is something that has never been done to a great extent with space colonies. 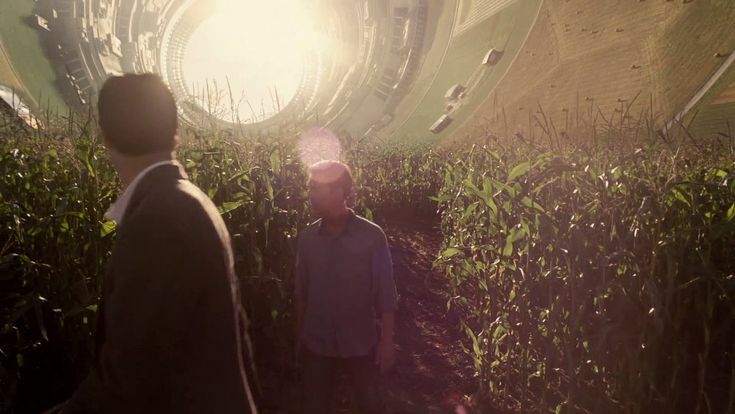 To make it believable, the civilization would be built in a hypothetical O’Neill Cylinder, which is a gigantic spinning cylinder where people live on the interior surface. This has been an inspiration in games before like the rings of the Halo series and the Citadel from Mass Effect, though neither of have completely fleshed out the idea of a space colony in the way a Bioshock game could. To continue the tradition of ideological cities seen before, this one could represent a true communistic society, much like the first Bioshock’s inspiration from the works of Ayn Rand. Bioshock Infinite really set the bar with its absolutely gorgeous vistas, a space colony would raise the bar even further. Just imagine what a Bioshock city in the O’Neill Cylinder would look like – as you look up, the city curls up and around you, like a scene from Inception or Interstellar. And just like every Bioshock game before, the city is brimming with life. Then if you look outside the cylinder, you get amazing views of planets, stars, and distant galaxies. Oh, and the lighthouse is a rocket ship… Need I say more? 1980s New York, Los Angeles, London or Tokyo, Japan.